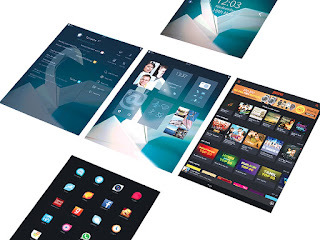 Sailfish OS is a Linux based mobile operating system, including developer mode with built-in terminal and unlockable bootloader. Usage is based on gestures, focusing on easy one finger user experience. 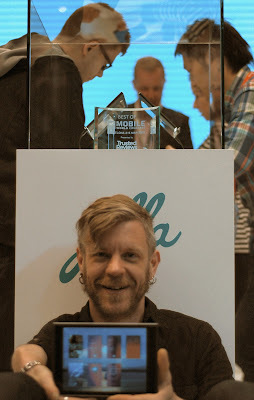 It's planned to be open sourced, but at the moment it still includes a load of propietary components in the unique user interface developed by Jolla Ltd.
DNA, Finnish mobile operator, put up a funny colored tent in Narinkkatori, Helsinki, Finland to introduce a new smartphone to the world with Jolla Ltd, the company behind the phone and its operating system. 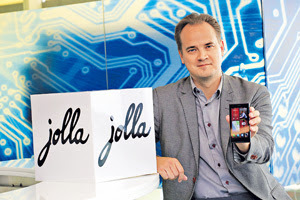 The event was called "Maailman hauskin jono" (The world's funniest queue), and 400 first Jolla Phones were delivered to The First One customers there. 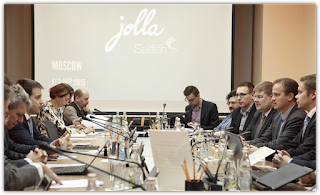 Sailfish OS was still in beta stage, basically a very raw fish at that time, but people loved its gestures, different and stylish user interface, and of course, the Jolla Phone on which Sailfish OS runs on. Even more improved with Sailfish OS 1.0.1.12 released on December 16th, this first update enabled changing WLAN hotspots on the fly, adding url links to SMS messages, and getting sound and video in sync when watching videos on YouTube. 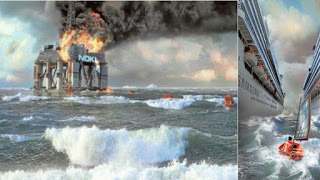 Now can you believe that, looking at the operating system today! Only 11 days after the previous hotfix, new features came to Android support. Jolla could now receive calendar events from Google, and users could make Skype video calls with the Skype Android app with either of the two cameras. 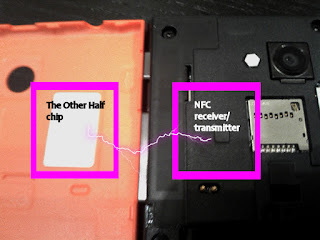 The NFC bug took a while to fix, delaying this update, but it got fixed bringing an extraordinary battery life of full week. Users were dancing, removing workarounds like tin foil on top of the detector. This update brought also a major Linux like feature: Unlockable bootloader, easily switched using a new recovery menu. Three apps (camera, gallery and browser) got landscape support. 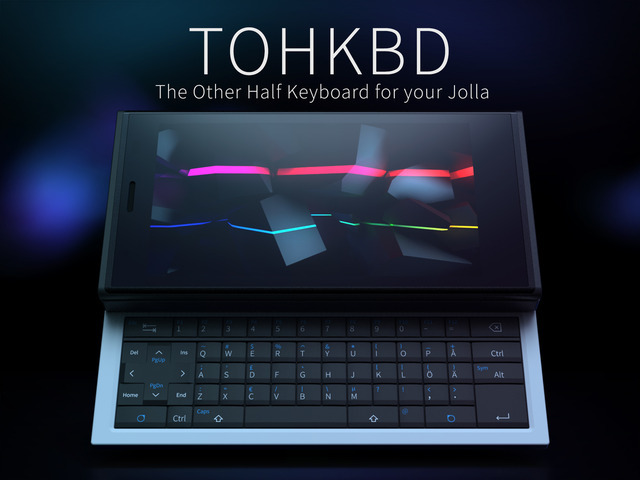 Jolla announced that this update brought the operating system to a ready stage for global commercial distribution, but lot of users saw it still as a beta release. Three more apps (Email, Messages, Notes) got a landscape support, several apps were improved, especially the camera with great new settings. WLAN tethering was introduced. Two way sync for Microsoft Exchange contacts, MMS messaging, selectable default Email account for sending mail, user interface visuals. Improving, not that raw fish any more. MMS had some known issues, hotfixed with Sailfish OS 1.0.5.19 released on April 24th. 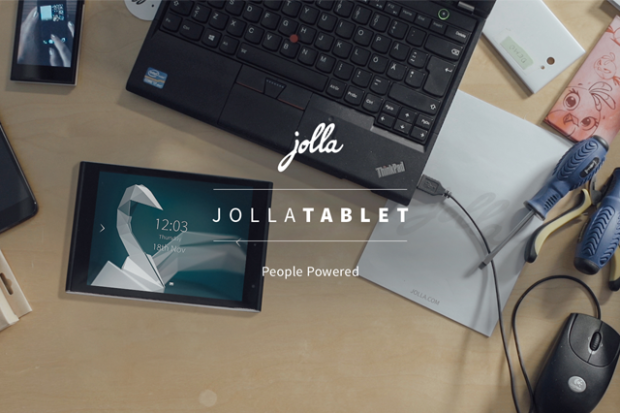 After a long wait, Jolla released a major update merging also Sailfish OS 1.0.6.x. Raatejärvi into this release. 4G / LTE support, folders in the app launcher view, tabs in browser, two way sync with Google contacts, experimental CalDAV support and a huge amount of security and bug fixes, this was the release that if not before, at least now brought Sailfish OS out of beta stage. I've found this update as one of the best releases with great battery life and updating Android app cover (just one, showing the last used Android app on top). 1.0.7 is still running here, mostly for being able to study the battery life compared to later releases. Each Android app got its own home screen cover, but with a snapshot only, in purpose to save some RAM in heavy multitasking. Tutorial app was introduced. Browser bookmarks could be saved to app launcher view. And Sailfish OS 1.1.0.39 Uitukka released two days afterwards, both of these updates offered as optional releases for brave sailors. Huge update introducing Qt 5.2 was in test on this release, and additionally it introduced almost 250 bug fixes for other issues found. Low memory killer was enabled on Android support, but not yet optimized, so sudden app crashes were reported a lot. Map got a night view, user interface didn't show line of dots on app pages any more, Settings app got some new maintenance tools. 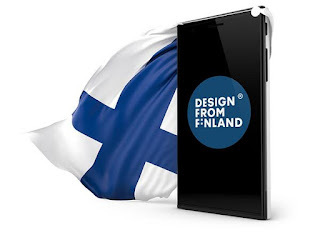 Put on hold on the same evening due to lock code issue, release Sailfish OS 1.1.1.27 Vaarainjärvi was pushed out to Uitukka users on the next day, and it was available to everyone on December 22nd. 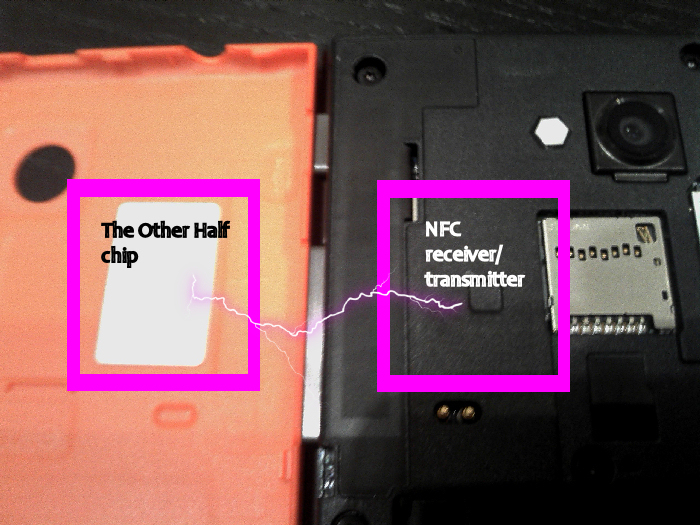 ZRam was introduced among tuning up the Low memory killer, bringing expansion to the 1GB RAM on Jolla with using storage space. This had a slight impact on battery life, but brought great multitasking capabilities. 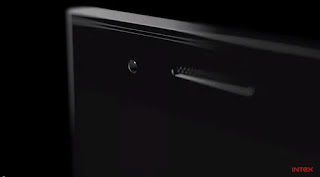 New gesture, flipping the phone upside down, was introduced to silence incoming calls and alarm sound. 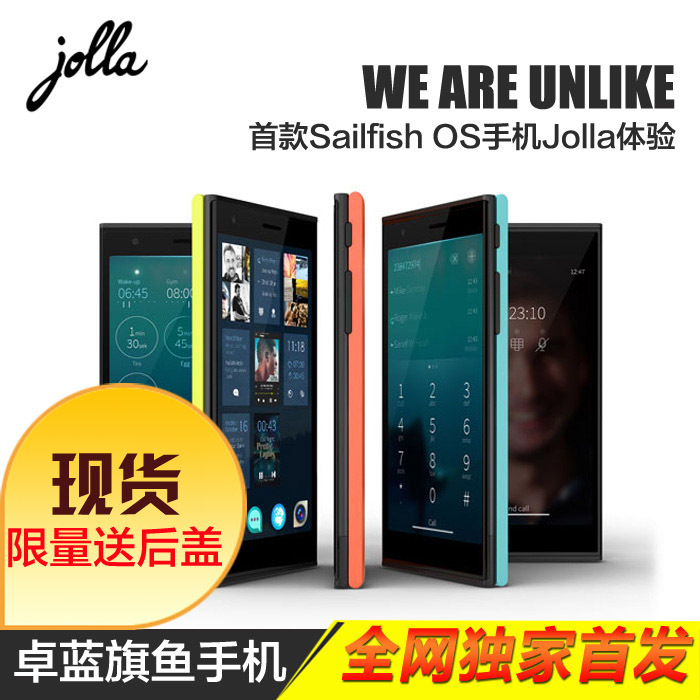 From this update on, group of Early Adopters (option available in the web interface of Jolla account) got updates to test and to report back to Jolla before updates were released for everybody. 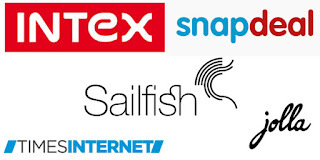 They received Sailfish OS 1.1.2.15 on February 19th, bugs were located, and this group got Sailfish OS 1.1.2.16 to test as well on February 25th. That release was found as stable enough. The most difficult name to pronounce, right? 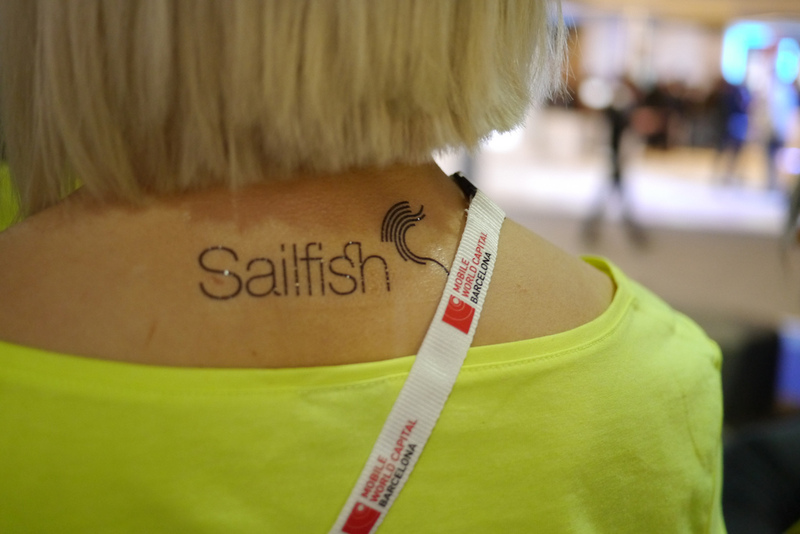 Early Adopters received Sailfish OS 1.1.4.28 to test on April 15th, and few bugs were fixed. Sailfish OS 1.1.3.x Åkanttrasket was never released, it was told to be merged into this update. BTRFS (file system) balancing, running automatic on Tuesday, 3AM (local time) if the phone is connected to charger on that time. Btrfs allocation space getting full, even that there's lots of space in storage, has been causing several issues on Jolla Phones. Also landscape support to Maps app and Android app access to images saved on memory card were welcomed. Search into Email app, private Browser tabs, importing of VCF and iCAL files into Calendar, some of the Facebook functionality back (lost after Facebook API was updated) and, as always, several bug- and security fixes. 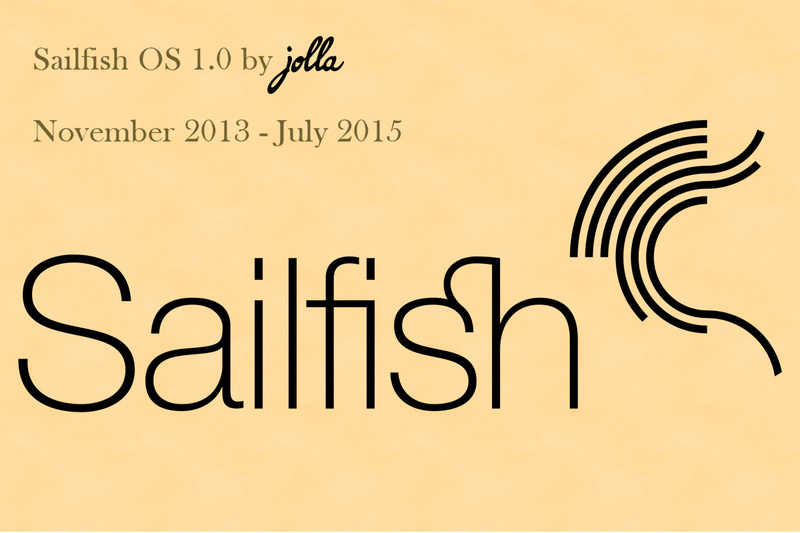 This version of Sailfish OS 1.0 branch is focusing on Android support. Users can now allow Android apps to have access to contacts saved on Sailfish OS People app and grant them rights to run on background (useful for example for receiving notifications of Whatsapp messages). Also the whole Android support can be stopped and started now. Sailfish OS 2.0 is expected to be introduced during August 2015, bringing in a whole new user interface. Let's see if the future will be as active as the past. Thanks to each Sailor at Jolla, and to each and every Early Adopter reporting bugs, for bringing us stable and such feature full releases this often. 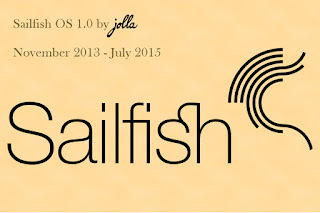 For statistics, Sailfish OS 1.0 had 14 releases, update every 1.5 months, each one with a huge amount of work by Sailors of startup company Jolla Ltd. None was minor even that some important features are still on hold. WIP, but for Sailors on holidays, Sail Off for a while! Thanks for what you've done!